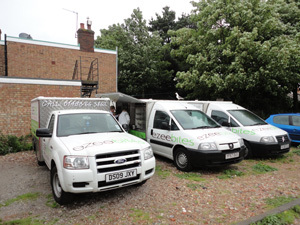 Norfolk based bakery & coffee shop Flour & Bean is a complete bakery company with 9 shops and restaurants, and 5 vans with a greater focus on freshly prepared coffee and food. 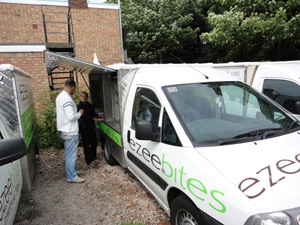 The 5 vans trade with the name “ezeebites”, and sell sandwiches and savouries, confectionaries and drinks. The Flour & Bean bake away philosophy is simple, the best ingredients and the freshest produce, sourced locally and baked in front of the customer. Flour & Bean only offer the highest quality and where possible only use local suppliers and GM Free ingredients. In the past couple of years some of Flour & Bean shops have been voted ’Best Bakery in Norfolk’. Flour and Bean had already seen the many benefits from using AlfaRichi EPOS software in their retail bakeries, coffee shops and restaurant, and needed a solution to track sales and stock on their sandwich vans. Before implementing the AlfaRichi solution the only way of estimating product sales was to manually count stock on each van at the beginning of the shift and recount at the end, hoping that the difference corresponded to sales. In practice it was not possible to do this and the only idea of sales was from the cash taken at the end of the day. A system was needed that was fast and easy to use, and also that would avoid staff errors in manually remembering prices. The AlfaRichi tablet solution was naturally chosen because Flour and Bean had already seen the multiple advantages of using AlfaRichi EPOS software in the shops and wanted to have control over the van sales and see all sales consolidated together. AlfaRichi recommended Motorola XOOM 10″ Android tablets with custom made stands to have them firmly fixed on the vans. There was the choice of using 3G tablets or WIFI only tablets. Flour and Bean chose to use WIFI only tablets as they are less expensive than the 3G tablets and there was no need to see sales on the vans in real time during the few hours they are out. The result is an elegant and efficient point of sales terminal on each van which allows staff to quickly and accurately enter the products sold and take the correct amounts of money. Staff also enter waste on the tablet at the end of each run and then bring the tablets inside where they connect with internet through WIFI and sent all data to the AlfaRichi cloud server. 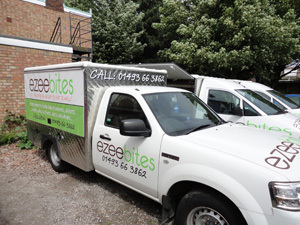 Admin and management staff see the details of sales on each van as soon as they are back from the run and can easily reconcile the cash takings. Sales from the vans are integrated in the overall sales reports, and the figures are used for planning future production. Takings on each van have immediately risen since installing the AlfaRichi solution and there is less wastage because this is now tracked. Flour and bean are not currently using printers or payment card readers on the vans but they know that these can easily be added in the future if needed. After seeing how the tablets work on vans, the customer is now asking for tablets in the shops as new needs arise. After installation of the tablets on the vans, David Laingchild, managing director of Flour and Bean says: «Takings are going up and on that basis it is encouraging and we are very pleased».